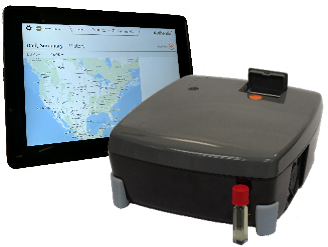 It was over a year ago now that I was tasked with taking up the role Product Owner for Authentix’s newest analyzer for our Fuel Marking Programs, christened the LSX 3000 Field Analyzer. At the beginning of my involvement in the project, I was looking up quite a steep hill and had some reservations; it was my first time acting as a Product Owner of a project that had been in motion for a few months. What’s more, both the engineering team and software team weren’t working with clear instructions of what exactly they were supposed to build (in product development lingo, they didn’t have all of the “requirements”). I quickly came to realize that both teams had done a spectacular job of coming very close to meeting the base requirements while developing their separate parts of the project. However, both teams were missing some key information. We in the Product Group knew that when we launch LSX 3000, we didn’t want to just be close, we wanted LSX 3000 to be the fastest, most accurate, and most reliable field analyzer on the market. In my experience, the best way to tackle a problem is by facing the challenge head on. We started by reviewing the list of requirements by team and identifying the issues that each were facing. Once those missing requirements were identified, we further dissected them into their smallest components. This ensured that each issue was fully understood and could be addressed by the right individuals, and in the right order of precedence. Fast forward a few months, glossing over all of the inevitable growing pains that come with new processes (everybody just loves change! ), we finally had a prototype unit that was ready for its first field test! We looked for the best location for a field test that would ensure that we would really put the prototype LSX 3000 through its paces. After some discussion, one of our partners in Africa agreed to participate in a trial of LSX 3000. So, after a brief, refreshing 23-hour flight, my colleagues and I stepped onto the tarmac in Accra, Ghana to begin our two-week field trial. As it turns out, we chose a “perfect” location for the test. Temperatures in the sub-Saharan northern part of the country flirted with 50°C / 122°F (heat stress, check) while in the southern regions of the country, we faced near 100% humidity, if not outright drenching rainfall (humidity/water resistance, check). During this trial, we collected data, more data, just a bit more data, and some invaluable feedback on usability and functionality. At the end of two weeks, I had a great tan and a stack of information that would help our teams refine and improve the already amazingly tough prototype design. The development process continued throughout the summer and fall, including several more trips abroad to test each new and improved version of the analyzer. Each time we returned, our stack of needed “improvements” grew shorter. The whole team knew we were getting close to a product that reflects customer and market needs, but we made the decision to do one final trial, only this time as observers. This trial tested the premise that a user with minimal training could operate the instrument and address any problem. Users were presented with different situations (uncharged/no power state, no wireless connection, etc.) and asked if they could resolve the situation themselves. The users were able to quickly and easily correct the problems on their own – positively reinforcing our premise and demonstrating that our new analyzer would be user friendly and simple to operate, one of the key requirements. Additionally, the sampling data was a great resource for Chemometrics team members here in Texas. They used the insight to make changes to the analyzer’s mathematical models and the analytics processes of each successive prototype, making each version better and more accurate. All of the team’s work paid off. With a little over 18 months under our belt, LSX 3000 launched on 22 June 2017, under our Vigilant offering as the fastest, most accurate, and most reliable field analyzer available today. Click here to learn more about Vigilant. You can also contact Authentix at info@authentix.com.